New Store Now Open! Rent Today! Metro Self Storage brings you new, industry-leading storage solutions to help make your next move more manageable and less stressful. You’ll find our brand new climate-controlled storage facility located on Route 17 N in Wood-Ridge, open and ready to serve you. Ideally located, we serve Carlstadt, Wood-Ridge, and several surrounding neighborhoods and businesses in New Jersey. Our easy-to-use website, bill payment options, and month-to-month leasing are designed to work with busy lifestyles. When it comes to customer service, you can count on Metro to give you superior service. Contact our on-site Property Manager, call our customer service hotline, or drop us a line on our Contact Us page. We proudly serve nearby businesses and neighborhoods including Carlstadt, Wood-Ridge, East Rutherford, Moonachie, Little Ferry, and Hasbrouck Heights. Our convenient location is easy to access from Interstate 80 and Routes 3, 4, and 46. Stop by for a tour of the newest, climate-controlled storage units in Wood-Ridge today. There are weekend activities with the kids, long days at the office, and weekday workouts at the gym to keep life busy. 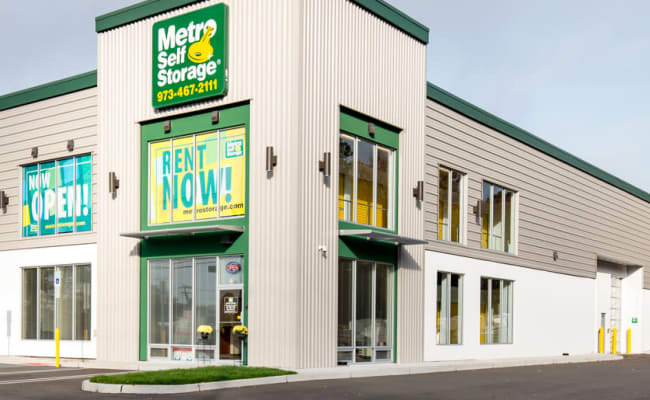 When you need to rent a storage unit, you can count on Metro Self Storage every day of the year. Our brand new storage facility is designed to accommodate all of your needs. Professionally trained and friendly, the Metro storage team strives to provide every customer with the very best experience possible. We offer value, convenience, and security—it’s what we call the Metro Advantage. Contact us to learn more about how we make it easy to move in with Metro.